It's that time again, when tasting rooms open their doors to welcome visitors to the valley and an abundance of festivals occupy every weekend. 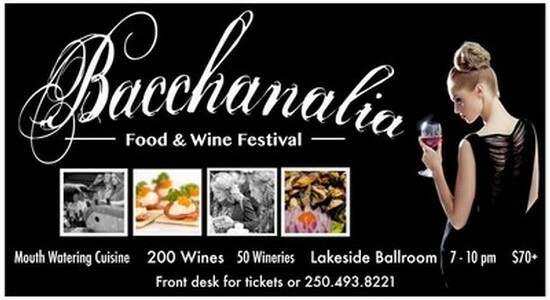 Coming up in early May is the 19th annual Spring Okanagan Wine Festival. 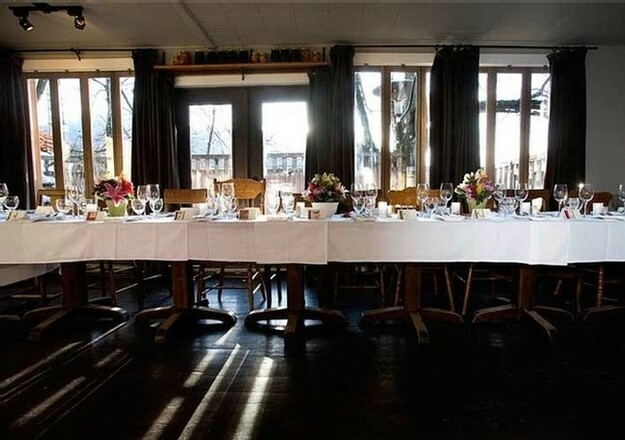 There are a myriad of events to attend and no shortage of options on dates, times and locations. Deciding which to attend can be the toughest challenge but decide you should because many of these events sell out quickly and you don't want to miss out. 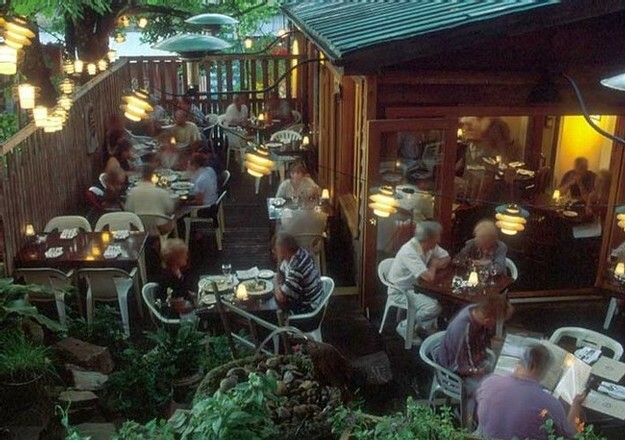 Located in the beautiful but notorious mountain town of Nelson, British Columbia, a full days drive from Vancouver, All Seasons Cafe aspires to the excellent restaurants of the big city yet is firmly anchored by our eclectic and eccentric small town surroundings. Eccentric could describe our wine purchasing as well. Against the advice of our accountant we continue to buy more than we can store. It’s just that these wines need to be liberated, made available to the young dread-locked farmer, the two bit lawyer, the draft dodger, the urban refugee who thought they’d left it all behind, and of course the traveling public weary of burgers & box wine. The primary aim of our list is to provide just about anything the wine savvy consumer could desire, at nearly any price point. There are lots of familiar wines for those who "know what they like, thank you very much", and many interesting choices for the adventurous. We look to avoid repetition in our selections, be it in varietal, style, region, or price. Nevertheless we apparently can’t say no to a good wine ~ we have several things cellaring, waiting for their vacancy on the list. The list is presented in a three panel book with the food menu on the back of the third panel. (You would see the food menu first when opening the cover. Starting with "Wines by the Glass" we then sort the list geographically, then by intensity, then by price. After experimenting with other arrangements we've found that this works best for our public. We like to have the Wine List in the hands of everybody at the table to encourage discussion. For guests not in tune with the rest of their table we have the ever changing choice of wines by the glass and half litre, that list itself being a microcosm of the whole list, though increasingly biased toward Canadian products. Chef Emmett has provided a great Pan - Seared Sablefish with Orrechiette in a Tarragon Cream Sauce recipe to pair with our Blue Mountain Chardonnay. Every year in April we see the arrival of an Okanagan flower that holds a special place in the hearts of everyone at Blue Mountain Vineyard. The Arrowleaf Balsamroot (Balsamorhiza sagittata) is part of the Aster family but is also known as the Okanagan Sun Flower. For Blue Mountain it is the flower that graces the tops of all of our bottles and appears on our labels. Arrowleaf balsamroot can also be found in abundance on the hillsides along Allendale Rd on the drive past the vineyards on the way to the winery. The bright yellow flower prefers drier, open sloped and sagebrush flats from low to moderate elevations. Habitat we have heaps of in the Okanagan thus its appearance on hillsides all over the valley. What you may not know is that all of the plant can be eaten. The leaves can be consumed raw or steamed and its large taproot can be dried, roasted or steamed. The bloom does contain small seeds that can be eaten raw or pounded for use as a flower. It therefore is a popular food for wildlife and domestic animals. 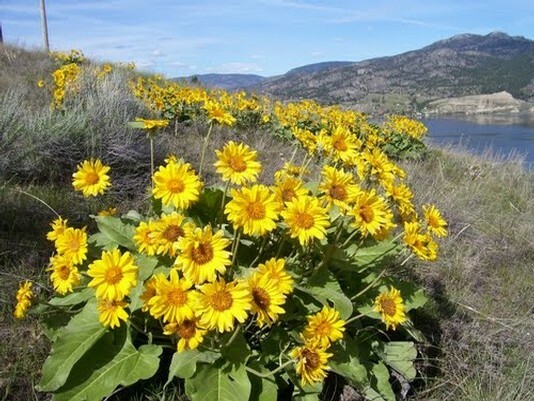 So get out on a local trail in the Okanagan and enjoy these sunny flowers over the next few weeks. Once the flowers are gone and the leaves fade it is difficult to find evidence of these welcomed bursts of colour. Meet our new vineyard manager Ernst Bruwer. A big Blue Mountain welcome to you. We hope you enjoy your new home. What made you choose to come to Canada? I’ve always had a big interest in Canada and the Canadian way of living. When I found out Canada had regions where they grow and make wine I decided I needed to move here as it would be a new and interesting challenge. What were your perceptions of the Canadian Wine Industry prior to arriving in Canada? I had heard from people that travelled to the wine regions of Canada many years ago that the wines had a “wild” taste. I was told vineyards were growing a lot of non-vinifera species. When a winemaker friend of mine moved here he reported back that the industry had changed and that really good quality wines are being made here, also that many varietals of vitis vinifera vines are being planted. Where are you from and what did you do in your previous position? I’m from the Western-Cape region of South-Africa from a town called Stanford near the coast. I managed a 62 ha wine farm for Hermanuspietersfontein-vineyards. Explain your role at Blue Mountain Vineyard and Cellars. Vineyard manager. To optimize the soil quality, vine quality and grape quality to in the end have a quality wine. I grew up on a 200 ha wine farm near a town called Worcester in South Africa. You could say it’s in my blood. Favourite Grape Varietal and why? Don’t really have a distinct favorite, but if you forced me to answer I would say Sauvignon Blanc. There is a whole lot you can do with it and so many possible end results as a wine. Favourite grape varietal to grow? Pinotage. It has a medium to vigorous growth and is very easy to manage. If you treat it right you will always have quality grapes every year. Also Chardonnay and Mourvèdre. What you like best about being in the Okanagan so far? The people are all very friendly and that has made the transition run smooth. The lakes and nature are new and beautiful. What you miss most from home besides your family and friends? Mrs. Balls Chutney, Green coloured Cream soda, Mild winter temperatures and rock & surf fishing. Being part of the team that won best Wine in SA from Diners Club International, with a full-bodied Sauvignon blanc with balanced wood integration.